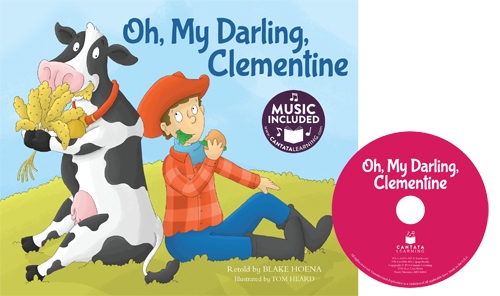 Follow this rugged cowboy and his sweet cow Clementine as the classic folk ballad Oh, My Darling, Clementine gets a new twist for young readers. Full-color illustrations bring this traditional song to life for a new generation of singers. This hardcover library bound book comes with CD and online music access. The origin of this song is not known, but it may have been written around 1880. The original is about a lost love who met a tragic end. Consider asking children what events or feelings they might like to write a song about.